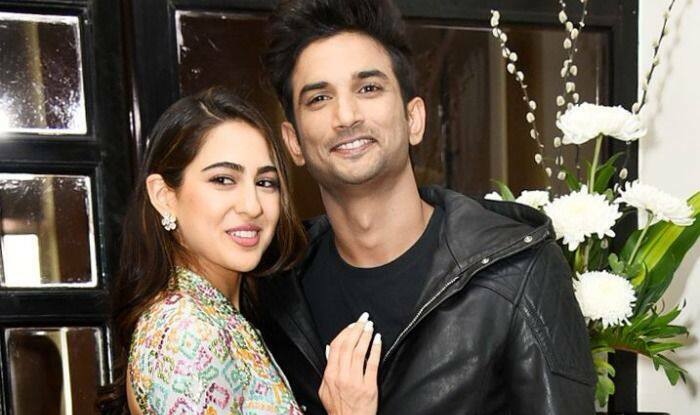 Sara Ali Khan-Sushant Singh Rajput The New Bollywood Couple, Actress Cuts Short Her Dehradun Trip For His Birthday? Sara Ali Khan made her big Bollywood debut with Sushant Singh Rajput last year with Kedarnath and won hearts of many with her performance. This new pair was something really fresh for the audience and received a lot of appreciation. Latest reports suggest that the actors might be dating each other. Sara and Sushant have been spotted together quite a number of times while promoting their film Kedarnath and there is no denying of the fact that they look really cute together. If one noticed the two closely during the promotions, there seemed to be chemistry even off-screens. Sushant recently celebrated his 33rd birthday and his Kedarnath co-star Sara reportedly cut short her Dehradun trip so that she could be present for his special day. India Today quoted a source saying, “She dropped by his apartment at night with a cake, and they went on for dinner together after that. Sushant then dropped Sara home, and they snuck in some quality time together”. If you have watch interviews of Sara, then you must have noticed how many times she has mentioned about having a huge crush of Kartik Aaryan. In fact, Sara’s second film Simmba’s co-star Ranveer Singh even played the cupid between the two and introduced each other. Their introduction video took the internet by storm and here one can see how much the two were blushing. In another interaction with the media, Kartik was asked if he would go out with Sara to which he said that he would love to have a cup of coffee with her. Sushant, on the other hand, was rumoured to be dating Kriti Sanon with whom he has reportedly broken up. On the professional front, Sushant will next be seen in Abhishek Chaubey’s Sonchiriya with Bhumi Padnekar and Manoj Bajpayee. Sara, on the other hand, has reportedly signed for David Dhawan’s remake of Coolie No 1 opposite Varun Dhawan post Kedarnath and Simmba success.